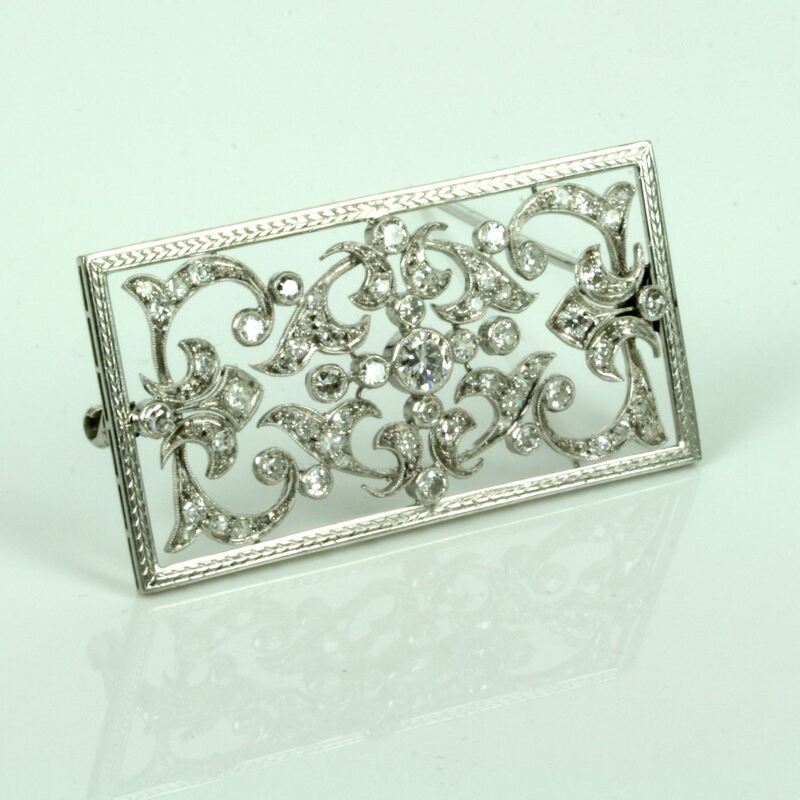 Stunning antique diamond brooch made in platinum. Product code: ES1929 Categories: Sold Items, Sold Jewellery. Here is a truly stunning antique diamond brooch that was all hand made in platinum and set with 65 diamonds in such a truly stunning design. From the border that is all hand engraved, this brooch gets prettier and prettier everywhere that you look. The design is so beautiful and all the diamonds are milgrain set which is that fine crimping around each diamond. The total diamond weight of this brooch is 2.30 carats and simply dazzles, and the brooch measures 4.7cm by 2.5cm. 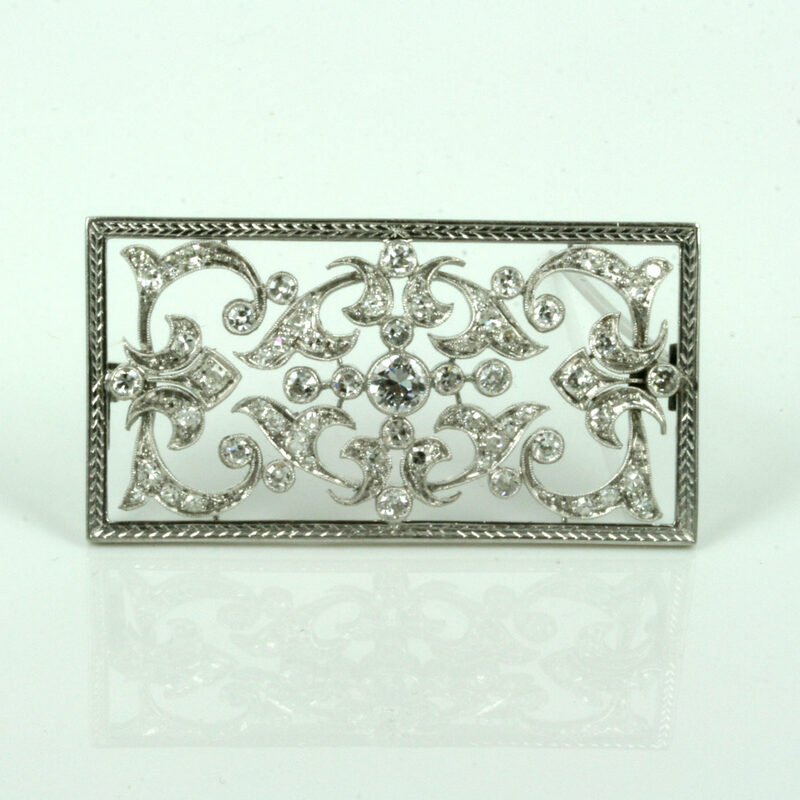 This is one of the finest quality diamond brooches around, and one that will always be admired.